This building was the capitol for only four days in 1855, but many believe that the actions of the legislature that met here led directly to the Civil War. Governor Andrew Reeder picked this location, away from the proslavery influence of Missouri, where the legislature would choose a permanent seat of government, create a constitution, and decide if Kansas would be a free or slave state. Instead the legislature kicked out the antislavery members and passed a bill to move the government to Shawnee Mission near the Missouri border. 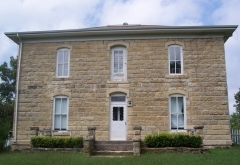 This native stone building is operated as a state historic site. 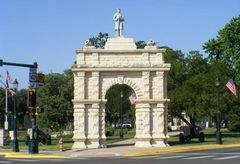 Built and dedicated in 1898, the Grand Army of the Republic (GAR) Memorial Arch is significant for its association with Junction City’s social history at the end of the 19th century and as a representative example of memorial architecture at the time. The GAR Memorial Arch represents the concerted efforts of the Junction City community to memorialize the sacrifices of Civil War soldiers and express support for the military community. Planning began in February 1897 with the intent for the arch’s dedication to coincide with the Grand Army of the Republic’s 5th District reunion held in Junction City in September 1898. 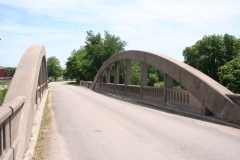 Located just south of the city’s historic downtown district, the arch is now the official symbol of Junction City. 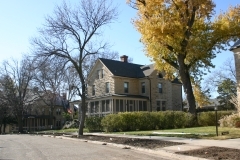 The Jackson-McConnell House, built in 1911, is located near downtown Junction City on a broad, tree-lined east-west street in a residential neighborhood of primarily single-family residences in the Queen Anne, Bungalow, Craftsman, and Foursquare styles. Widow Lucy Jackson commissioned the construction of this house for herself and her daughter Ella and son-in-law Irving Miller, and it would remain in their family until 1944. 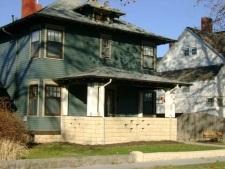 Donald A. McConnell, the city's long-time public school superintendent purchased the house in 1954, and it remained in his family until 1988. 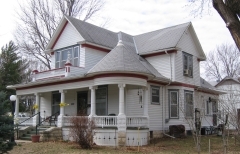 The house is a well-preserved example of the American Foursquare and reflects a mix of popular early 20th-century architectural styles including Craftsman and Prairie. The two-and-a-half story wood-frame residence has a cube form, a hipped roof, a limestone single-story porch with a hipped roof, and a front-facing hipped dormer in the attic. The double-door entrance is centered. 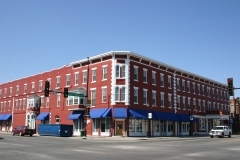 The corner windows, four in all, are one of the most striking exterior features of the building. 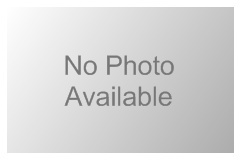 It was nominated for its architecture.